This near new tastefully decorated two bedroom house is situated 1 kilometre from Wanaka town centre and at the foot of Mount Alpha. A two minute walk to Dose cafe and another 5 minutes to Florence's and on the way to Cardrona Ski Resort. Everything you will need to a holiday with two couples or a small family! The open planned lounge features a flat screen TV with Freeview. Large bifold double glazed doors open up from the dining area to a private garden and outdoor barbeque area. The kitchen is fully equipped with all the modern amenities. A large heat pump heats the lounge area very efficiently. There is underfloor heating in the bathroom and the bedrooms both have electric heaters. You will not feel the cold in this house! The bedrooms both feature new beds with great quality bedding. Both have warm memory foam toppers. The Master bedroom features and ensuite and the bathroom has a large shower and large bath. 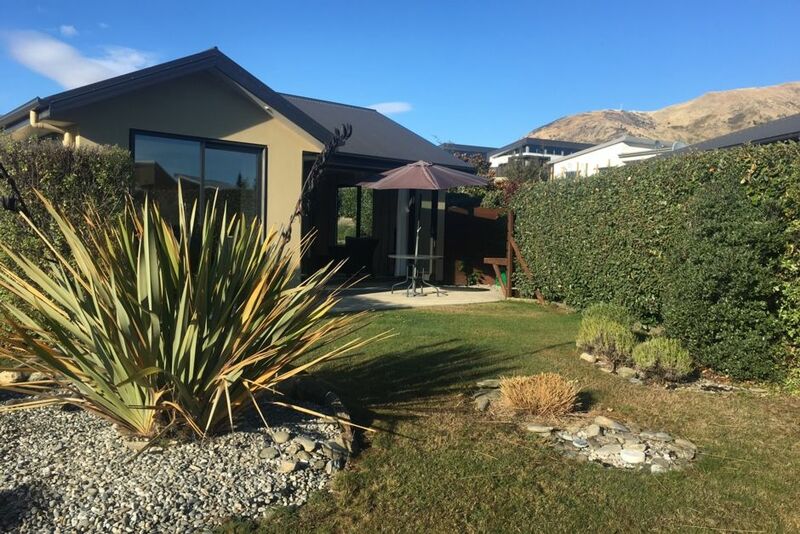 A popular choice for your Wanaka holiday! Internet provided by Netspeed at $10 per day or $29 per week for high speed unlimited data on several devices. We felt super comfortable here. Everything was clean and the owner is awesome to deal with. Lovely clean house that ha a well equipped kitchen and good furnishings. In a quiet area a short drive from the shopping area and with easy access to the ski fields. This property was lovely. It was warm all day and night, it had stunning views of the mountains and it had everything we needed. A really nice place to stay and would definitely stay again. Was unable to put the dishwasher to watch the dinner plates as these were far to big for the dishwasher and wouldn't allow the dishwasher to wash.